The access and use of CDX Registration for the electronic submittal of environmental information require the creation of a user ID and password that I must maintain and keep confidential. I will review the following steps concerning the creation and maintenance of a user ID and password. EPA will use the personal identifying information which you provide for the expressed purpose of registration to the Central Data Exchange site and for updating and correcting information in internal EPA databases as necessary. The Agency will not make this information available for other purposes unless required by law. EPA does not sell or otherwise transfer personal information to an outside third party. [Federal Register: March 18, 2002 (Volume 67, Number 52)][Page 12010-12013]. Passwords may not begin with a number nor contain the word "password" nor contain your User Name. I agree to protect my CDX password. I will not divulge my password to any other individual; I will not store it in an unprotected location; and I will not allow it to be written into computer scripts to achieve automated login. Any distribution of software provided by the Environmental Protection Agency's Central Data Exchange shall be handled according to any defined license practices. 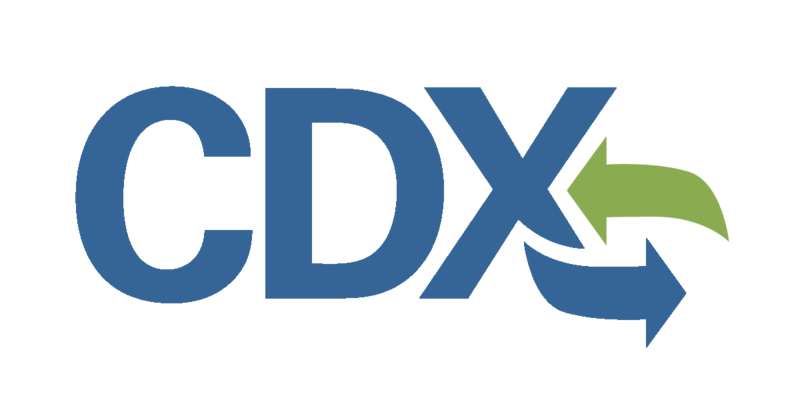 If I have determined that my CDX account has become compromised, I agree to contact the CDX Technical Support staff at 888-890-1995 or (970) 494-5500 for International callers as soon as possible. I agree to notify CDX within ten working days if my duties change and I no longer need to interact with the CDX on behalf of my organization. I agree to make this notification via either the CDX web interface or by notifying the CDX Technical Support staff at 888-890-1995 or (970) 494-5500 for International callers. This notification will allow CDX to deactivate my account and protect it from potential abuse by others.